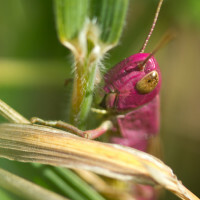 A rare pink variant of the Meadow Grasshopper. 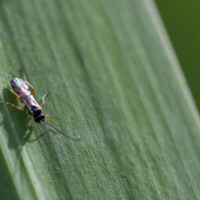 The warm sunshine this summer has created fantastic conditions for minibeasts of all sorts on the farm! We’ve pulled together a roundup of just a few of the man remarkable creatures that make Mudchute their home. We’ve spotted bright pink grasshoppers, beautiful blue butterflies and all manner of creatures between! 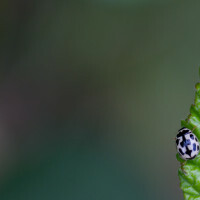 The weather is set to be warm and sunny this weekend too, so be sure to keep an eye out for minibeasts on your next visit! To share them on social media, just use #mudchute! 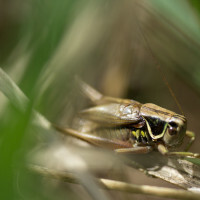 A look at the courtship of the Meadow Grasshopper (Chorthippus parallelus). The chirping sound we hear across the farm is produced by amorous males who rapidly rub their hind legs against their wings. This video shows the action in approximately 10x slower than real life. 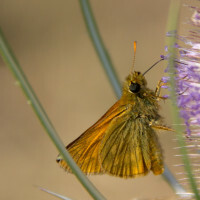 A Skipper butterfly on Teasel. 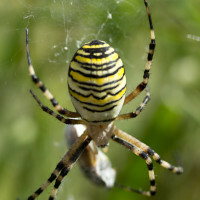 A large wasp spider, whose favourite prey include grasshoppers! 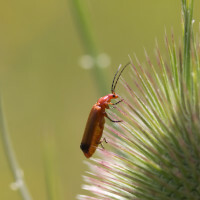 A Soldier beetle on Teasel. 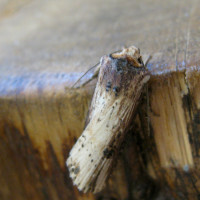 A young Long Winged Cone-head. 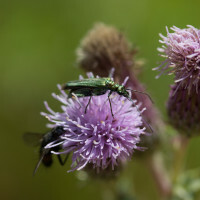 Thick-legged flower beetle and fly feed on from the same bloom. A tiny wasp on the pond lillies. 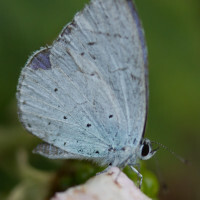 Blue butterflies have been spotted across the farm. 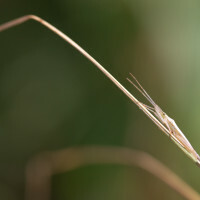 A true bug hiding among the grass. 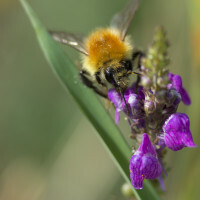 Keep an eye our for many bumblebee species that live and breed at Mudchute. 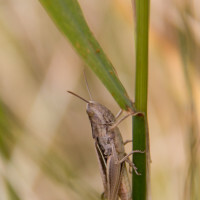 Grasshoppers can be heard among the long grass and spotted if you look carefully! 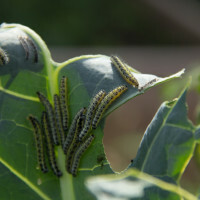 A hoard of hungry caterpillars of the Large White butterfly. 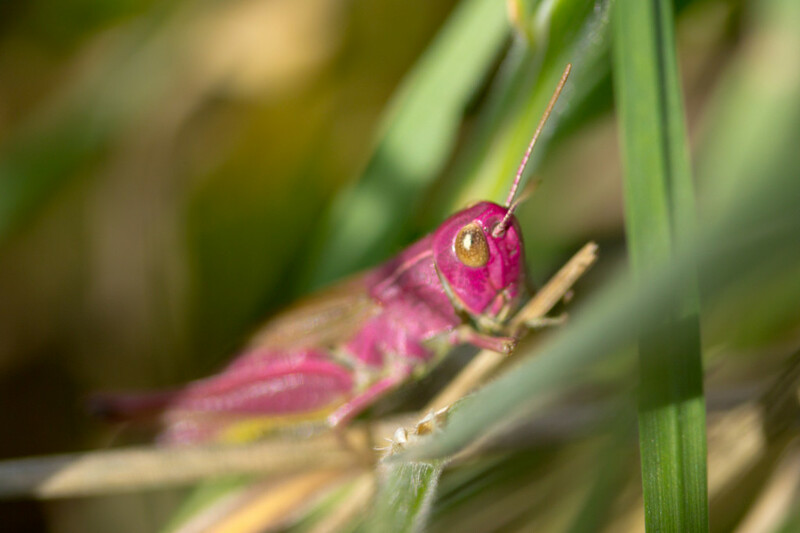 A typically coloured meadow grasshopper. 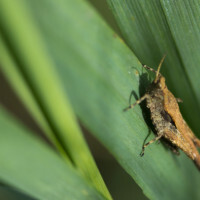 A strangely shaped grasshoper called a Groundhopper. 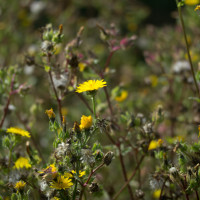 Flowering plants and long grass are excellent places to find wildlife. 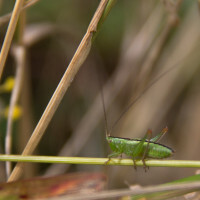 The elegant Roesel’s Bush Cricket is one of several bush crickets that you may see and hear on the farm.